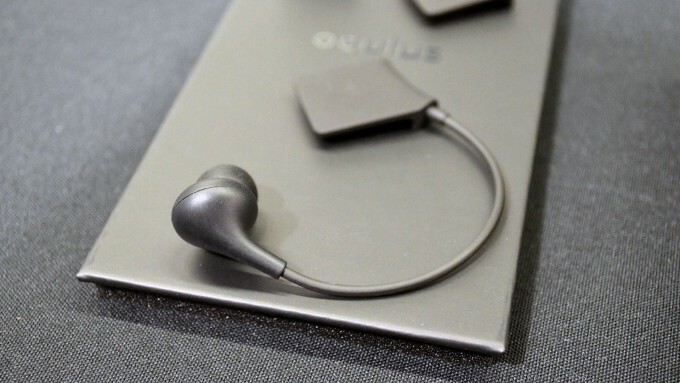 Announced at Oculus Connect 3 and launching alongside Touch, the Oculus Earphones were touted as a noise-isolating, more immersive alternative to the standard headphones. After days of using and testing the Earphones, I’ve been able to judge how good they really are (spoiler: very). 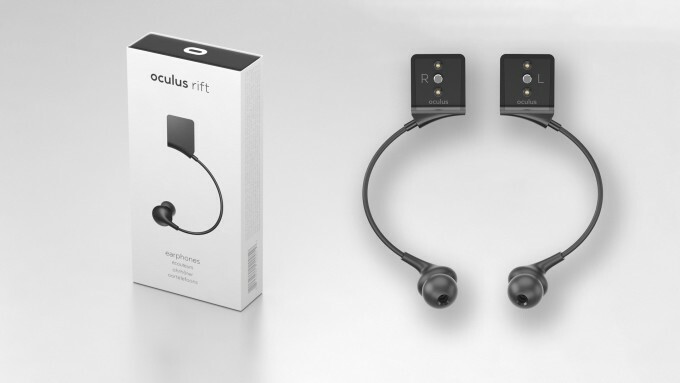 Oculus announced the Earphones last month as a replacement for the headphones that ship with with the headset in the box. The sensibly priced $49 pair is available for pre-order now from Amazon and the Oculus Store, and ships on December 6th. First, the quick rundown, and then we’ll get into more details as well as a comparison with a much pricier pair of in-ear monitors (IEMs) further below. Remember, too, that these are subjective impressions, which is important because everyone physiologically hears sound differently to some degree. The Oculus earphones are noise-isolating, which leads to not only less distractions from the real world, but an easier time hearing the ambient noises from VR content that you may have never been able to hear before, an important factor in immersion. Balanced sound signature comparable to the standard headphones, but at an even higher quality. No pressure on the ear lobe (this is if you have a problem with the comfort of the standard headphones). People in your vicinity can have a harder time communicating to you while you’re effectively blind and deaf to them. Pressure in the ear canal (this is for people who generally dislike the feeling of IEMs or earbuds in their ears). More annoying to switch out if you let other people use your headset often. Slightly longer ‘setup’ time to use the headset compared to the headphones. Can’t be used on their own, since they have a unique connection to the Rift headset. The improvements in sound quality and noise-isolation far outweighed any of the negatives for me, and at $49, these Earphones are a steal. Getting the Earphones onto the Rift is simple. 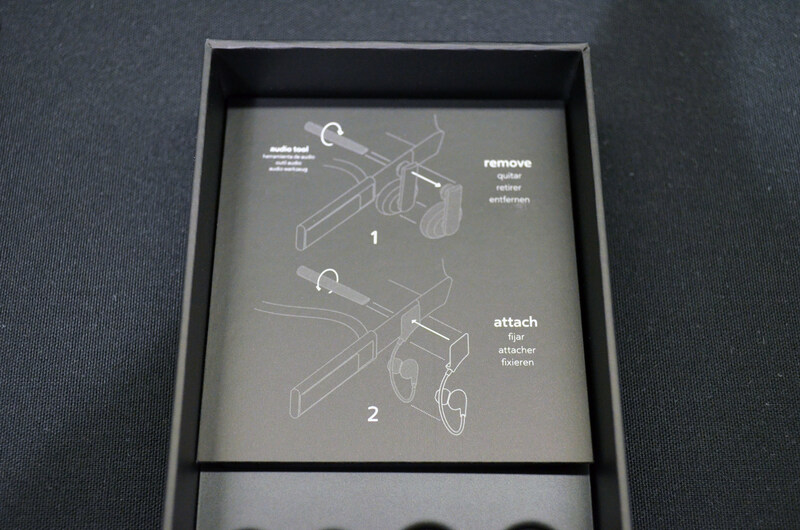 In Rift box, Oculus provided a small plastic rod that tapers down to the shape of a flat head screwdriver. This is used to unscrew the existing headphones from the headset. If you threw this piece out not knowing what it was, Oculus handily included another one with the Earphones (you could also use a screwdriver or coin, but risk scratches). Ones the headphones are unscrewed, put the Earphones in place and tighten using the same tool. 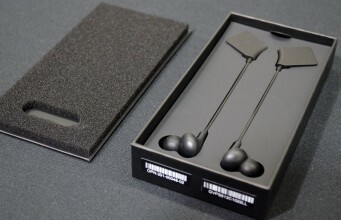 The Earphones are labeled L and R, and their design also implies which side of the headset they should be on. The audio contacts align automatically when you have the Earphones installed correctly, and now you’re ready to listen. It was pretty easy to find the optimal placement for the earphones so that they feel good and create a seal with the ear. An improper seal often results in less bass, and less noise-isolation, so getting it right is important. For me, the medium tips fit well, but so did the large and the small. I could also switch out for other brands of tips, including Comply (model T400 and T500), Spinfit (CP100), and Meelectronics (single/double flanged), which I’ve tested and confirmed to work. The Comply tips were the most comfortable, but I still preferred the stock eartips for the sound they produced. Using VR applications, music, and sine wave generators, I’ve determined that these IEMs have a similarly balanced sound signature to the original Rift headphones, but extend and emphasize slightly better in the high and low frequencies, meaning that the sound of both rumble and sizzle, for example, were heightened, and just enough to make things sound better to my ears. Not at one time did I feel like any part of the frequency spectrum was overpowering the others. As a result, I noticed that sounds were more accurate to their position in 3D space, and music came out more clear, more impactful, and with better texture. The differences weren’t a huge step up from the original headphones, but were noticeable. The post Oculus Earphones Review and Comparison with Ultra High-end Earbuds appeared first on Road to VR.